Brush Wizard: 2016 Year in Review! The Brush Wizard on Facebook! First up is the biggest new thing to happen in 2016 and it didn't happen until the very tail end of the year. 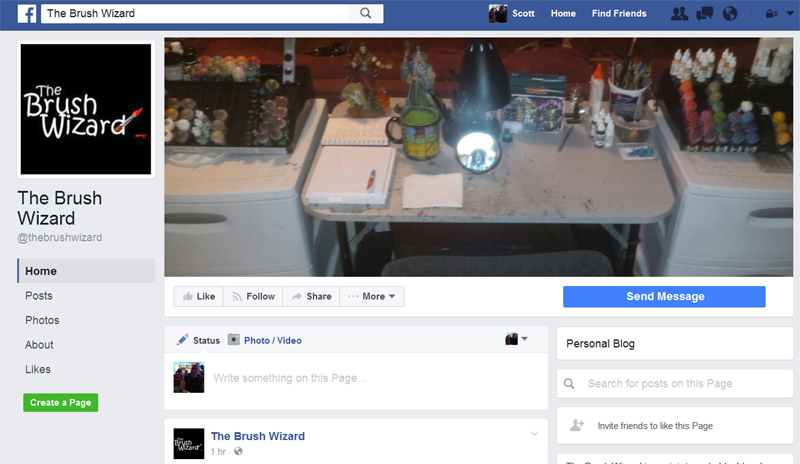 The Brush Wizard now has a page on Facebook, there I will be posting links to tutorials, new articles and pictures of my work. Of course, it will all for the most part link back to thebrushwizard.com too, but I thought it would be a nice way to expand my social network a bit more. 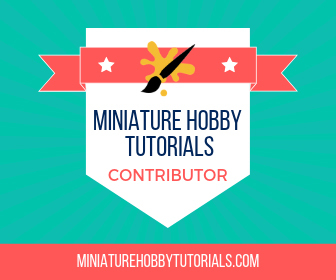 One of the most rewarding things I've done for the site so far has been writing tutorials. I enjoy helping people with their painting and it's nice when someone is asking for a technique and I can direct them to one of the write ups. Over the last few years I've gotten into board games, but it I can't stand having 50 million (ok, not really that many) little plastic baggies floating around for the 50 million tokens (that number may be more accurate). Over the course of this year, I've set up a bunch of boxes, complete with custom made labels. Each time, they get better in quality as I've refined my techniques too. As I stated in the intro, 2016 was the year of the commission. This year I actually ended up with a bunch of commission jobs. It's nice to have people that are interested in my work and feeling that I am worthy enough to be paid for painting things for them. At first it seemed a lot more stressful, since I felt like there was a lot of pressure to be perfect in everything. But, I've gotten used to it now. I began doing actual reviews this year, mostly because I thought it would be fun to share my thoughts on things I've picked up. But also because, since I paint a lot of Super Dungeon Explore I figured why not do my painting showcase posts as a review also? But I've also tried my hand at storage cases, paints and board games too. Some of them are less review and more showcase, but that's cool too right? 2016 was hit or miss for my participation in the Finger Painters Facebook group competitions, thanks to the commission work. I was able to join in a few of them though and won with three of them as well. I really like these comps as it makes me push myself harder and focus on quality over speed. I actually entered into 5 competitions, but never wrote up a post about the Mistmourn Coast Troll Chieftain (whoops). Early in the 2016, Ninja All-Stars arrived and I was eager to get a game in. As soon as I opened it up I began taking pictures of everything and did an unboxing post about it. All of the figures are top notch quality and I can't wait til I have the time to paint them all, but that'll have to wait until I finish the current load of Super Dungeon Explore minis. Sadly, the game itself was a flop with members of my gaming group and I don't know when it will see a table again, even though I enjoyed it myself. The first release for Super Dungeon Explore in the Forgotten King era that wasn't a Kickstarter campaign unlock or a GenCon release. She's a new boss for the game and includes her own set of creeps. She was a fun mini to work on, other than needing to cut her off her base in order to properly paint her. The ghost creeps were also super fun (I actually painted them late in 2015) and I used glow in the dark paint to make them unique. In May, my buddy Chris and I decided to do a miniatures swap using Super Dungeon Explore figures. For him I painted up the Tabbybrook Mage and for me he painted Nyan-Nyan. It was super fun and both minis came out really nice. 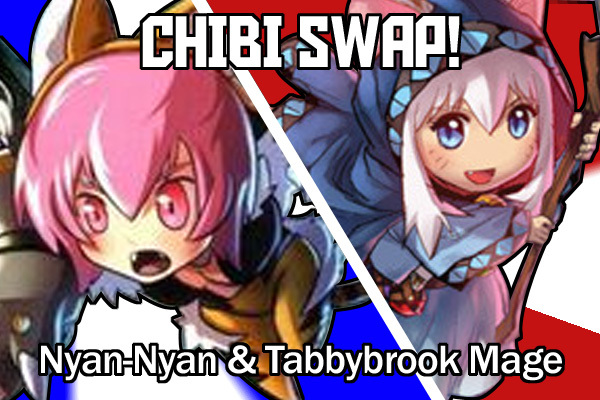 Chris doesn't actually own SDE yet, so it was his first chibi mini, while I ended up with a 2nd Nyan-Nyan to use as a mini-boss. Riot Games entered the domain of board gaming this year with a bang with their incredibly impressive Mechs vs Minions. The hype level surrounding this game was extreme and I braved the server issues from the waves of people attempting to order a copy. After 7 hours of trying, I nailed one down and when it arrived I made sure to document everything in this baby. Teenage Mutant Ninja Turtles: Shadows of the Past Arrives! Another year, another Super Secret Christmas Present! This time it was for my sister, who is a huge fan of The Princess Bride. After seeing some custom made Princess Bride miniatures on Twitter, I ordered up a set and knew exactly what I wanted to do. That's it for this year, a lot of fun was had for sure. I wish I had been able to knock out more projects, but it's not a big deal. I am super hyped for 2017 to roll around, it's going to be a great year. Especially since I am planning to hit up Adepticon and GenCon and I'll get to meet up with a bunch of Twitter folks! That should be a blast.  Thanks for making 2016 the best year to date for The Brush Wizard! Congrats on the successful hobby year! I know I appreciated all those tutorials and reviews you did. I need to look at your tokens boxes for mansions of madness as it has a ton of items as well. Thanks Joe! Thanks again for all the mentions on Good Reads over the year as well!